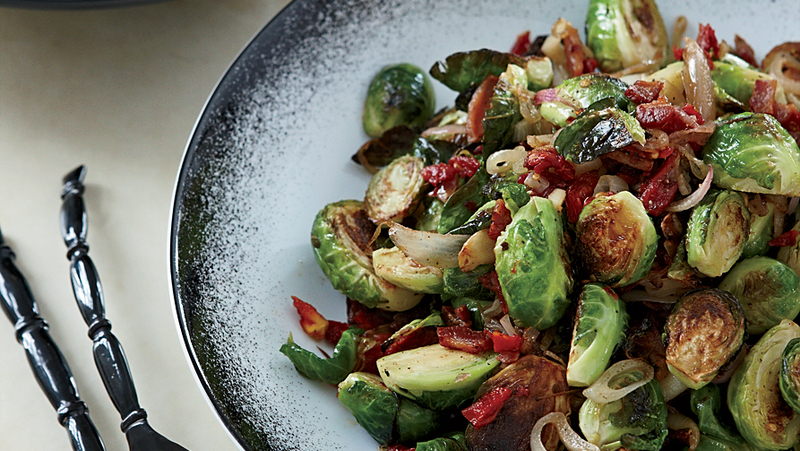 Roasted until crispy or sautéed, brussels sprouts are great on their own. 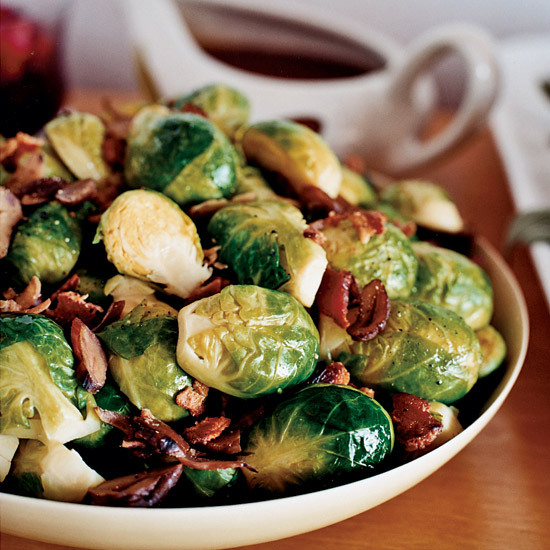 But paired with smoky bacon, they're unbeatable. 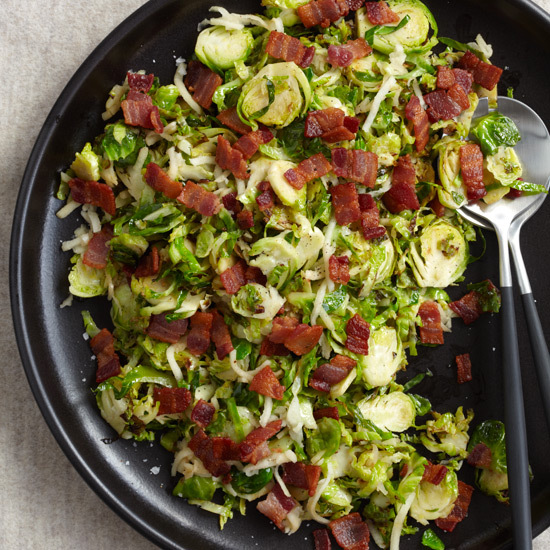 From hearty pasta to a quick frittata, here are seven amazing recipes that prove brussels sprouts and bacon are better together. Granny Smith apples add terrific crunch to this amazing slaw. 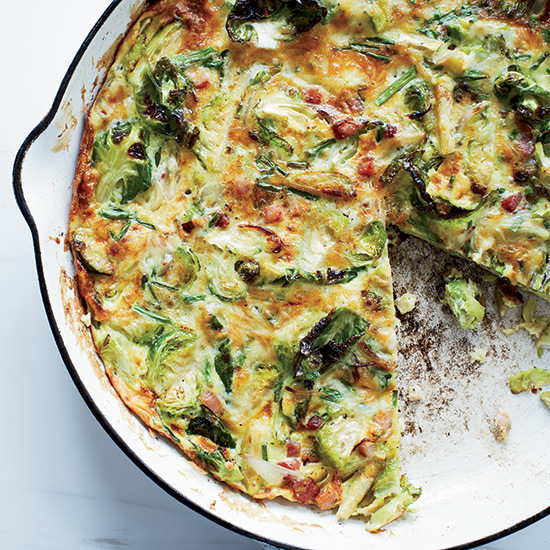 This quick, hearty frittata is a great way to use leftover brussels sprouts. 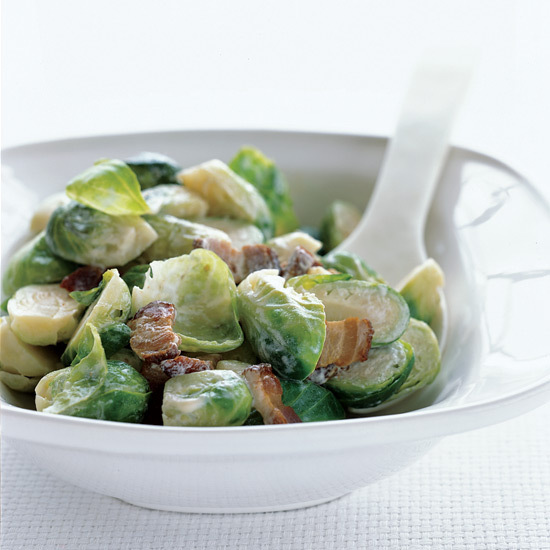 Chef Marc Meyer sautés brussels sprouts with bacon, then adds sour cream for richness. 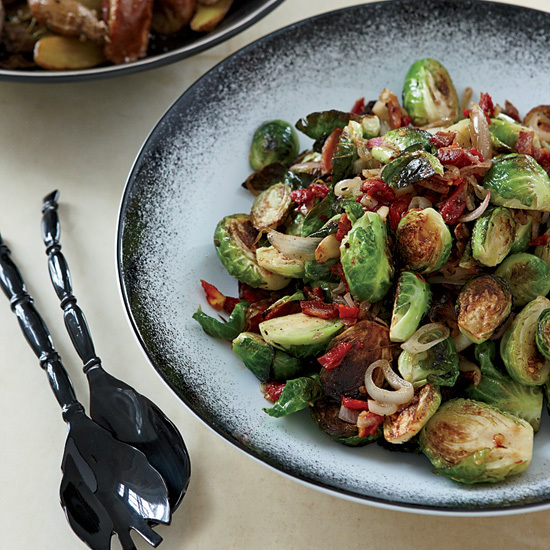 This incredible pasta features smoky bacon, brussels sprouts, hazelnuts and freshly grated Parmigiano-Reggiano cheese. Star chef Scott Conant's incredible recipe requires only five ingredients, plus salt. Do they have pancetta on them? Oh, they do not? Moving right along then. 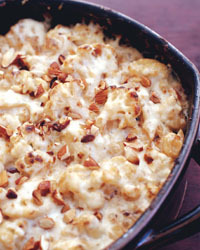 Vacuum-packed peeled whole chestnuts make quick work of this terrific dish. 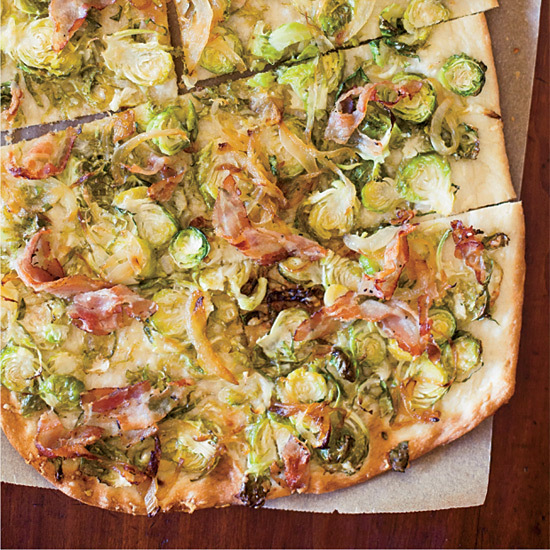 Thinly sliced brussels sprouts tossed with pancetta and caramelized onions make a fantastic savory flatbread topping.